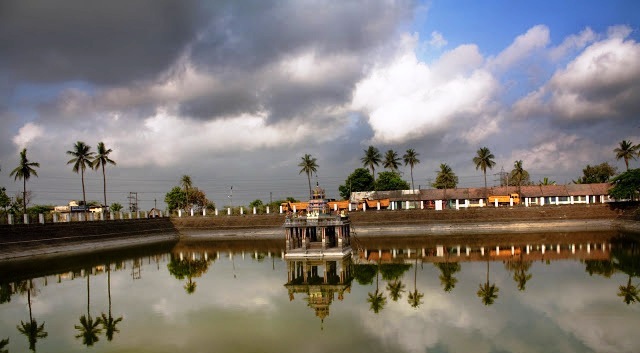 The Sri vaishnava Divya desam of “Thirivikarama Perumal Temple” is located near Seerkazhi in Tanjore district ( Tamil Nadu). It’s about half mile away from the Seerkazhi Railway station. 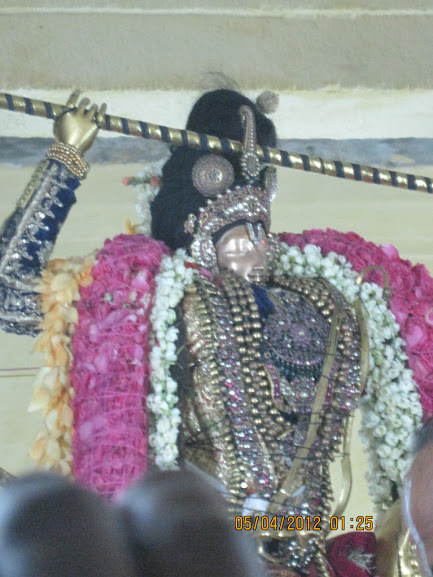 Lord Srirama Vinnakara Thadalan graces the devotees as Lord Thiruvikrama as he did in Thiruvekka and Thiru uragam divya desams of Kanchipuram. Lord in Thirukovilur adorns shankhu and chakaram as abharanam , and in Thiru uragam of kanchipuram he is without them and raises his left and right lies up in order to scale the whole world by his foot, a majestic darisanam to be cherished by every devotee . But here in Seerkazhi, Lord SrimanNarayana graces as Thirivikrama with all his five weapons with his left hand extending upto the left foot, which is folded upwards. The temple priest was kind in explaining about the divine pastimes of the Lordships here , which makes one rush to this temple . 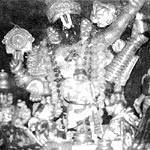 The Moolavar of this Divyadesam is Thirivikaraman also glorified as Thadalan and Ulagalanthan. One can have Lords Ulagalantha sevai. (ie) in the Nindra Thirukolam . 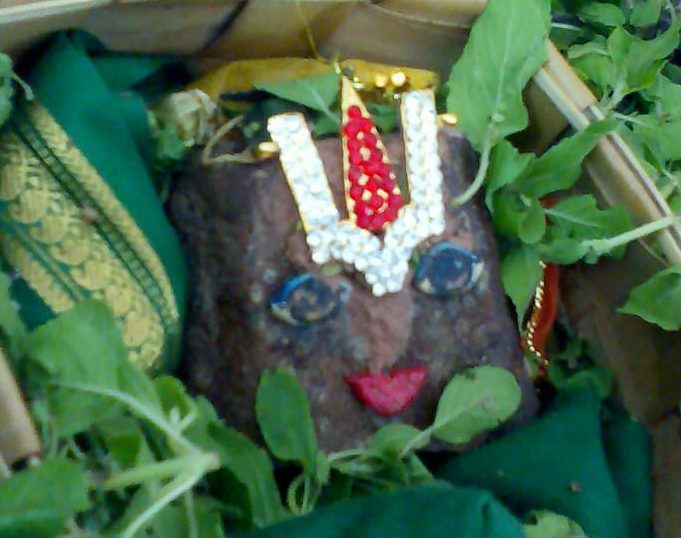 Goddess ( Thayaar) in this holy place is glorified as Loga Nayaki. The Utsavar Thaayar is Mattavizh Kuzhali. An interesting incident happened at this place few hundred years back . Once the great Parama shivan devotee ,Thirugyana Sambandar( one of the four Shaivakuravar was staying near to this temple in a mutt) . He was one of the most prominent of the sixty-three Nayanars. Our Thirumangai azhwar along with devotees were passing by the mutt . Glories of the Azhwar was being sung by his Azhwars followers . The disciples of Thiru Gyana Sambandhar who asked the followers of Thirumangai azhwar to maintain silence till they crossed their mutt and wished their guru is not disturbed . Azhwar was over hearing the discussion amongst the disciples about Thirugyana Sambandar and wishes to have an audience with the saint .He takes the opportunity and thus walks straight into their mutt. The saint Thirugyana Sambandar is spell bound looking at Azhwar’s majestic appeal .He welcomes him and cordially invites him for a devotional debate . 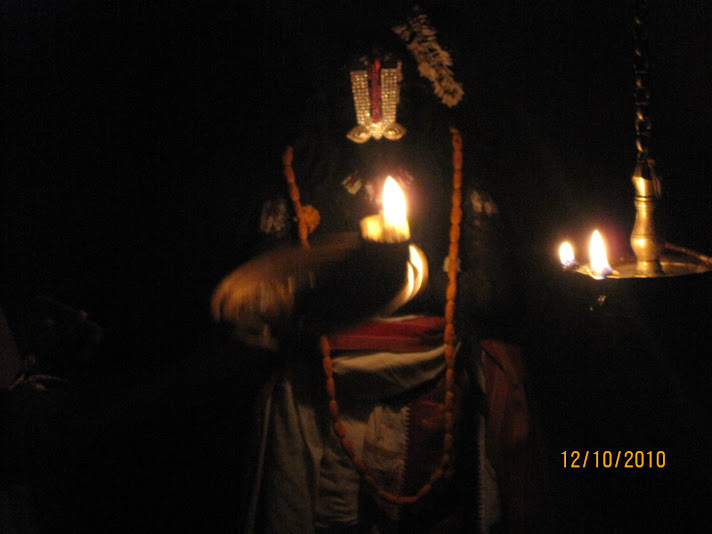 Azhwar with abundant glow begins with a song on the Lord Sriman Narayana the cause of all causes ….and the param porul whom one must seek for ever …. Hearing the thundering voice and the terrific command of Azhwar in the glorification of the LORD the revered saint Thirugyana Sambandar had torrent of tears flowing . 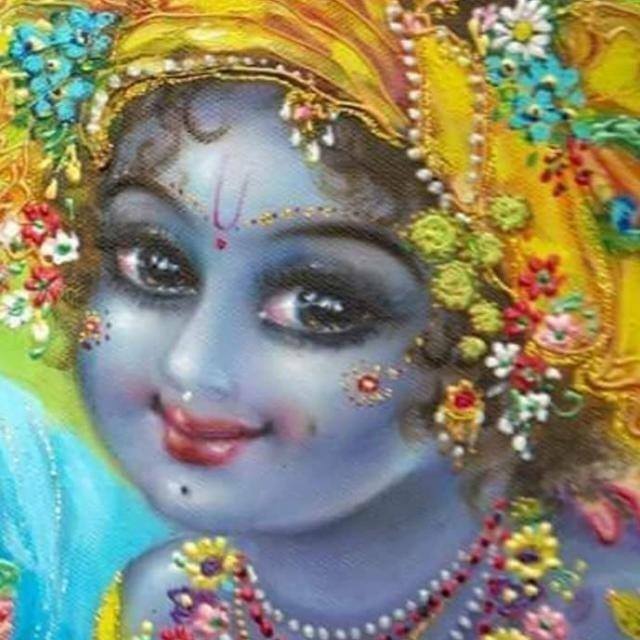 The sweet music along with the intricate meaning made him swoon in LORDs own world imagining the divine pastime . A true devotee he was , he at once prostrated Azhwar and presented him the spade (vel) which was honored to him by Goddess Aadhiparashakti . Pleased with Azhwar’s entry and the honour , he immediately commanded his disciples to glorify the Azhwar. Both of them embraced each other and bore good bye in a sad mood and paved way to the unity of Saivism and Sri Vaishnavam. 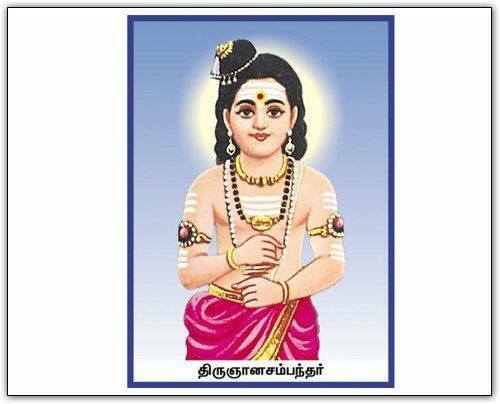 Next postSwamy Koorathazhwan, foremost disciple of Swamy Ramanuja who was the embodiment of true compassion and humility…. After reading this….”Thaazh sadayum Neel Mudiyum”..pasuram…ringing in my ears. Namaskaram.